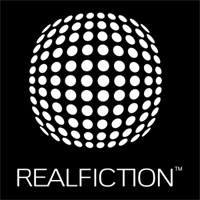 Realfiction Holding AB (“Realfiction”) announces its “STEP-UP-19” strategy, which is a major push towards market leadership in the increasingly mature markets for Mixed Reality solutions. The essence is a more ambitious strategy for both current business activities and brand new Mixed Reality technologies. The company also announces that funding for the first part of the plan has been secured. Step-up: With its current business models, superior products and innovation, Realfiction has created a very strong platform for growth. At the same time, the market for Mixed Reality is maturing, driven by some of the world’s biggest technology companies such as Microsoft, Google and Sony. Therefore, Realfiction must step up to realize the full extent of its potential. Strategy: The new strategy is about increased focus and investment. The company will invest additional resources in its two current commercial focus areas (Magic-as-a-Service for the retail industry and DeepFrame for the experience industry), both of which are large opportunities that are developing in a positive way. In order to capture and close larger international opportunities in both areas, more investments will be dedicated to marketing, sales execution and working capital. At the same time, the company will invest additional resources in innovation, its third key area. More specifically, the company has launched a development project for a holographic technology that makes it possible for a group of people to experience and interact with holographic effects in open space, without any physical media or lens between them and the effects. This has historically been an unattainable vision for the industry that most people are aware of from science fiction movies. As a part of the plan, and to ensure that each of these focus areas receive sufficient and undistracted focus, the subsidiary Realfiction ApS will devote investment to each area separately and more clearly divide its reporting between commercial activities (market activities for MaaS and DeepFrame) and innovation activities (innovation and development of new technology). Financing: As a first step in funding this more aggressive plan, the company has secured a bridge loan of 6.1 MSEK on market terms from a group of private investors. The investors are: Gerhard Dal, Bengt Helmersson, Jimmie Landermann, MIB AB (Michael Blihagen), Modelio Equity AB (Oliver Molse), John Andersson Moll, Christian Månsson, Kjell Nilsson, Peter Nilsson, Paginera Invest AB (Stefan Lundgren) and Fredrik Åhlander. The company plans to secure additional financing during the first half of 2019 to continue on this aggressive path. Several concrete alternatives are being considered, including a direct share issue to industrial investors, debt financing, a public share issue or a combination of these. If a public share issue is conducted, the bridge loan lenders have all accepted to convert their loans into subscription commitments. Webinar: The company will present its new and more ambitious strategy in a webinar, which will be announced in the coming weeks. Sedermera Fondkommission is the company's Certified Adviser. This information is information that Realfiction Holding AB is obliged to make public pursuant to the EU Market Abuse Regulation. The information was submitted for publication, through the agency of the contact person set out above, on October 4th, 2018. Founded in Denmark in 2008, Realfiction is a leading innovator and provider of mixed-reality solutions, a market estimated to reach USD 80 billion by 2025. The company’s first product, Dreamoc, has been sold in over 10.000 units. DeepFrame, a new patent-pending product platform available as mixed-reality displays in larger and smaller formats, was made available to customers in September 2017. DeepFrame is being adopted in a wide range of new application areas for companies within entertainment, manufacturing and retail. The platform is also being developed for innovative consumer products. In collaboration with a global network of distributors and content creators, Realfiction’s portfolio of products can be either purchased, rented or accessed through the company’s full-solution service concept, called Magic-as-a-Service. 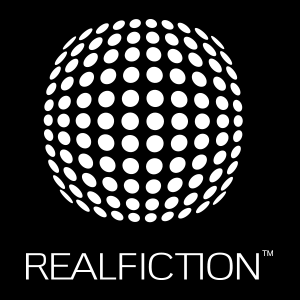 Finally, Realfiction continues to invent technologies within Mixed Reality, with an intention to disrupt the industry by pursuing the vision of converting science fiction into real fiction. Realfiction Holding AB’s share is publicly traded on Nasdaq Stockholm First North under the symbol “REALFI”. The share’s ISIN code is SE0009920994.